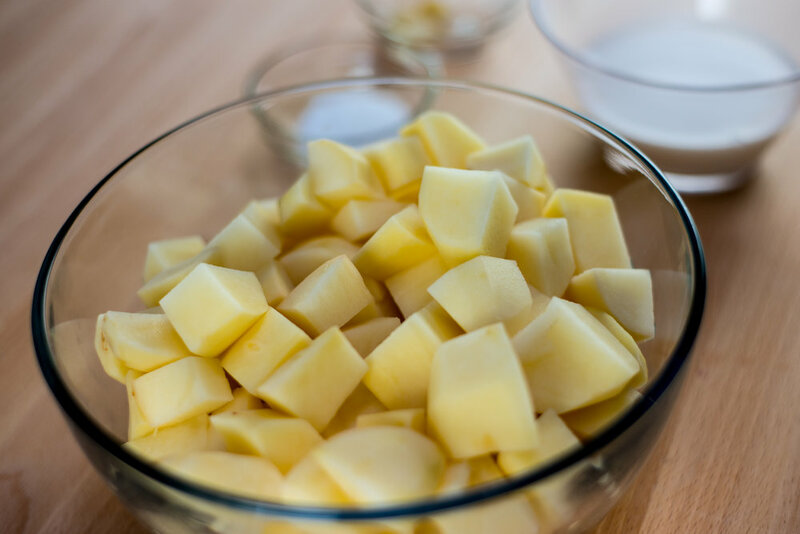 Wash, peel and cut potatoes into chunks. Put into a pot along with the diced onions and cover with water. Bring to a boil, and cook until potatoes are very soft. Drain, being careful not to loose the onions. Add minced or pressed garlic, salt and pepper along with ½ of the milk. 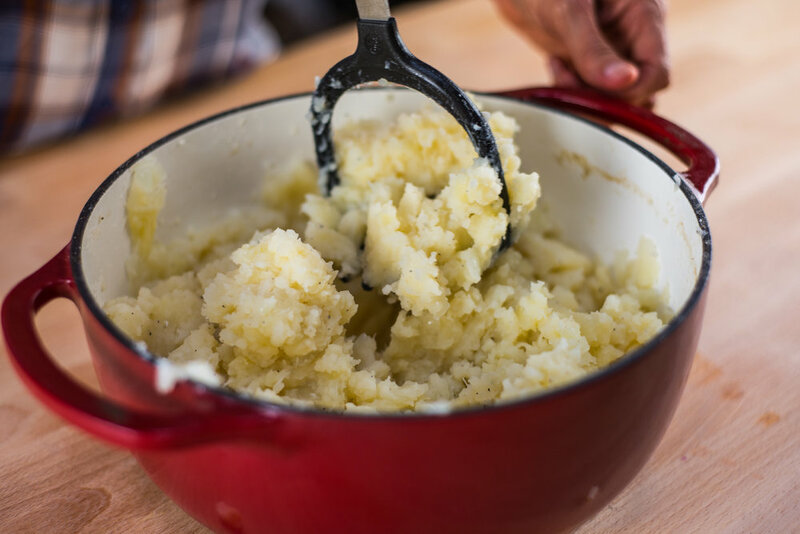 Using either a potato masher, or even better a mixer, whip the mixture, adding more of the milk as necessary until potatoes are fluffy and delicious!